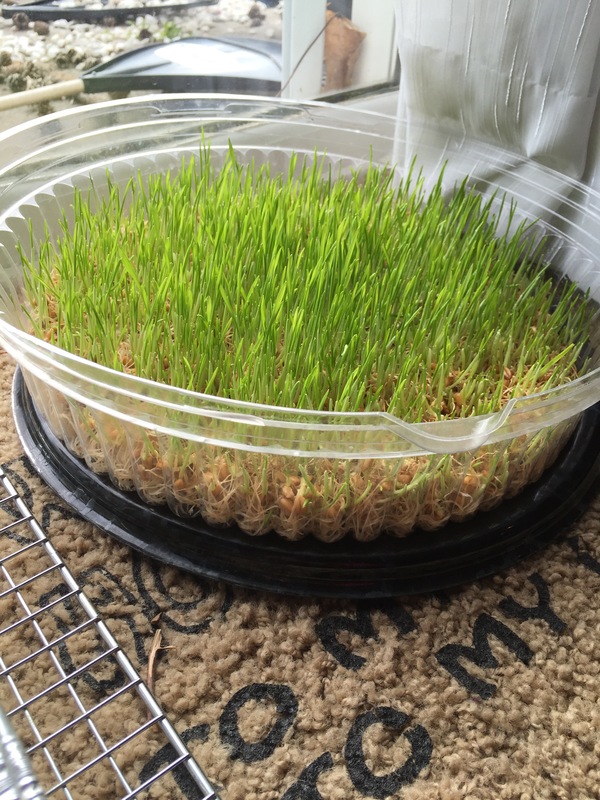 Day 6 -Home grown Wheatgrass! 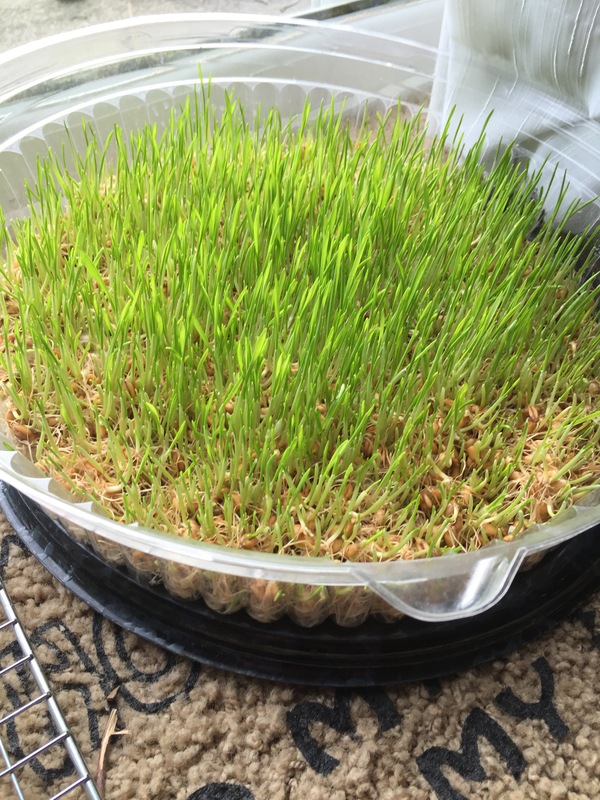 Here is a look at my wheatgrass after 6 days! So excited. Looking forward to having a fully grown lawn soon, lol. I’m noticing the importance of having them in direct sun light. My daughter Abi and I have seen them literally grow and change color in a matter of an hour. She loves plants and enjoys caring for our plants in the house. She has a special plant of her own, a basil plant, which she started growing last year. She has taken such good care of it. We use it in much of our cooking at home. It’s give us a lot of leaves over the months. Not sure how long it will last, but she is always thinking about what to grow next. Great project to do with kids to show them the process of growth from seed to fruit!